1. Friday 26th:Thunder Showers in Gangetic West Bengal (Kolkata) will last for another day on Friday, though much restricted and less.Rains in Northern Odisha and adjoining Chattisgarh. 2. Saturday 27th: ThunderShowers in Vidharbh and Marathwada (Aurangabad & Nagpur) on Sunday. Thundery Developments East of Pune. 3. Sunday 28th: Thunder Shower possible in Pune and vicinity. . Showers likely in Marathwada (Aurangabad).Thunder showers in Akola and Nagpur regions. 4. Monday 29th:Showers in Pune and vicinity as Showers spreading to Southern Madhya Maharashtra ( Satara and Mahableshwar). Thunder showers in Akola and Nagpur regions. 5. A Western Disturbance will approach North Pakistan and NW and North India on the 2nd.March. 6. Cloudy weather and showers expected in Abu Dhabi on Friday, Saturday and Sunday.Days will be pleasant around 26-28c. Mumbai will be partly cloudy this weekend. Some thundery developments in the Eastern skies on Sunday. Sir How about Bangalore and South interior Karnataka ?? 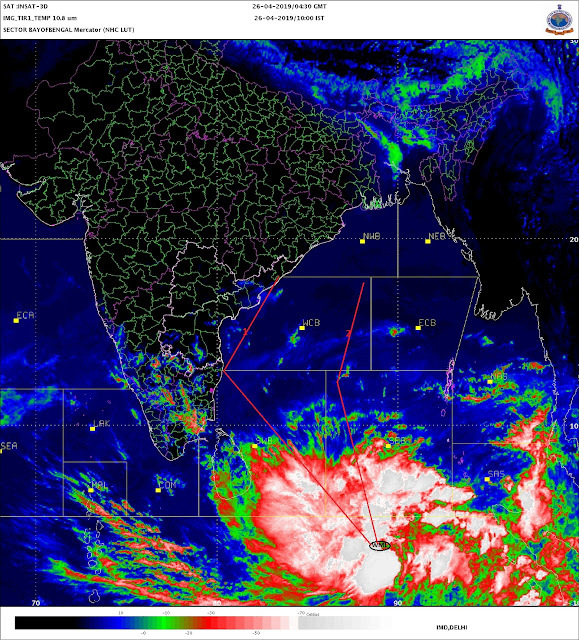 Models showing heavy rains over west and north west pakistan, meanwhile a lpa over gujrat,,,, any chances for sindh? Does negative olr values will boost the system/wd? Sir, nashik will also get showers or not? Naveen: Bangalore expect partly cloudy skies..No rains seen. But day will steady around 32c. Zohair: Yes, I think with initial approach of with Western Disturbance M-1, I think Central and Upper Sindh can get rains. If the trough extends South (50% chance as of now), coastal Sindh may get some showers. Shivkumar: Nasik will not get showers. Only Marathwada and South Madhya Mah and Vid. With AP anantapur exceed 40c Bangalore will start boiling - very close to anantapur. Biggest problem here is "NO TREE PLANTATION" undertaken for past 2 years!! Few remaining trees face axe from BBMP,BDA,BMRCL. Aurangabad and its surroundings are experiencing hot weather. The day temperatures was 36c on Friday, 3 degrees above the normal. Even the nights are unusually warm for this time of the year. At 19c, it is almost 4c above normal. Akola, which ia around 38c is also unusually hot with temperatures 4c above normal. This hot weather will get some relief from Sunday. Aurangabad and Akola districts can expect thunder showers on Sunday and Monday. Some parts of the regions may get squally winds and possible hail. Farmers are requested to urgently cover the exposed crops which are cut and lying in open fields. The rain in some areas may be accompanied by winds, so due precautions need to be taken. The standing crops may not be affected, but some areas may get hail, and that may damage the crops. sir,will roha,pen regions of north konkan and dahanu,mumbai recieve rain in the coming days?waiting for your reply. It's hot n humid day feeling sweaty in Mumbai sir will it rain in Mumbai. Rains much needed in Mumbai today.waiting for your reply sir. Khyati: Sorry for the late reply...was on a 1 day field trip on Sunday. Mumbai: Hot Monday..rising to 34c...Getting cloudy from Tuesday evening..and Cloudy Wednesday. Some showers in parts of Mumbai and Suburbs (and outer townships ) on Thursday. around 3-5 mms rains possible on Friday also. abizer..Similar Monday and Tuesday forecast. Some parts of your region (North Interior Konkan ) can get rains on Wednesday evening. Showers on Thursday and friday also. This Long range estimate for you both...shall put up officially on Monday night.